Second in a series of letters from some First Parish “personalities” about this year’s pledge campaign and appearing as inserts in the Sunday order of service. This one is from February 24. All are being posted on: firstparish.org/campaign. I heard Meeting House has been bending your ear. By rights, I should have gone first—Compensation is the biggest line item in the budget. 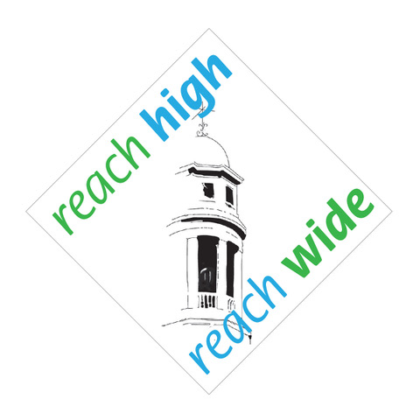 She wants you to reach deep so we can reach high—she’s so vain about her dull flaking steeple!—but I want us to reach wide. To embrace the folks who toil on your behalf. Let me tell you straight out: The people who work here are professionals. Some of them earned advanced degrees so they’re qualified to serve you. Others are so good at their jobs, they are celebrated by fellow churches, asked to lead UUA events. For a surprising number of staff, working with you is a calling. Heady stuff. Huddle in. Closer. I need to talk about a taboo subject: What people make and why. I’m not going to name names—I am not that crass—but I hope you agree everyone on staff needs to get decently paid. Of course, they love ministering to your spiritual life, educating your kids, comforting you when life’s bleak; organizing your pet project or social action cause; making sure the place runs smoothly and that all the financials are in order, etc. You guys are worth every effort. Truly. So how do I figure out how to pay them what they’re worth? I look at the UUA salary guidelines for every position, and I move the dollars around until most of these gloriously talented staffers get paid…below the middle of the pack. That’s all I can afford. I want to show them the respect—the compensation—they deserve, but the pledge levels haven’t allowed me to do it. I admit there’s fallout from this approach. Staff gets burned out, some quit, others feel perpetually underappreciated as well as strapped for cash. Living around here for sure is expensive. I had to take action, and I hope you support it with your pledge dollars. I’d like to ink in the new Pastoral Care Minister as a full-time position. Collectively, we’ve enough woes and joys to keep several ministers busy, but I’m only looking to bump up that one job to full-time. Helps to get the best folks to apply, too. We’ve lucked out so far with the people who want to work here. Congregants ask a lot of staff. Don’t they deserve our appreciation? I didn’t go crazy with my budget as I am a realist. I’ve kept Music and RE stable. The new social action coordinator is still a part-time position. Social action is our metier, yet the growing need for disaster and social justice funds means I will never adequately bankroll this line item. I get teary just thinking about it. Of course, what I can implement depends on how much you give in pledges. I’m spilling all the beans here so you should know that I’m also keen to give the team a 2% cost-of-living raise because the Consumer Price Index is up 2.1% If we don’t keep up, the staff falls behind on doctor bills, groceries, winter gloves. Okay, you’re right, blatant guilt tripping is not a UU thing. My apologies. Please pledge generously on Celebration Sunday March 3, or in the coming weeks.